Thanks to the botched operation in Gaza, which led to the killing of seven Palestinians and an Israeli army commander, Netanyahu’s coalition has begun to disintegrate, merely needing a final push for it to collapse completely. It all began with the resignation of the country’s extremist defense minister, Avigdor Lieberman, who quit his post, two days after the Gaza attack, in protest of the country’s “surrender” to Palestinian Resistance. The even more extreme far-right leader, Naftali Bennett, was expected to pounce on the opportunity and follow suit. He did not, in a calculated move aimed at capitalizing on the fact that he had suddenly become the government’s ultimate kingmaker. Netanyahu’s options are growing limited. It seems that the age of striking Gaza with impunity in order to score political points with Israeli voters is, perhaps, over. 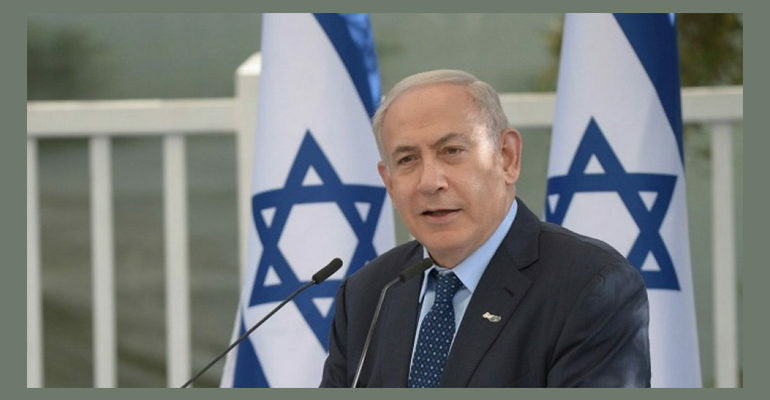 Israel’s ability to win wars and translate its victories to political concessions from Palestinians and Arabs have been greatly hampered; and this fact has little to do with Netanyahu’s supposed “weakness”, as his Israeli detractors often claim. The 2014 war — dubbed “Operation Protective Edge” — was, however, a wakeup call for the over-confident Israeli leaders. More than 2,300 Palestinians were killed in that war and more than 17,000 were wounded, the vast majority of them being civilians. Four years since that war, coupled with a particularly harsh stage of the siege — which has been imposed on Gaza since 2007 — did not change the equation. In fact, the fighting that was instigated by the latest Israeli attack further accentuated the fact. Unlike Lieberman, Bennett and others, Netanyahu’s political strategy is not only driven by attempting to pacify Israel’s angry public — many of whom protested the Gaza truce in various parts of the country. Seventy-Four percent of the Israeli public is “dissatisfied” with Netanyahu’s performance in the latest round of fighting in Gaza, according to an Israel Television News Company poll released soon after the truce was announced. “It will be demolished very soon,” he declared, in an attempt to move the conversation from Gaza to elsewhere and to regain the confidence of his right-wing constituency.